The AA Silver Plate Anniversary Medallion is not for everyone, just for the AA member who deserves something special. Come to think of it, you fall into that category. AA sponsors and those friends you grew up with in the progam also qualify. The perfect time to give this wonderful recovery gift is an AA birthday or anniversary celebration. 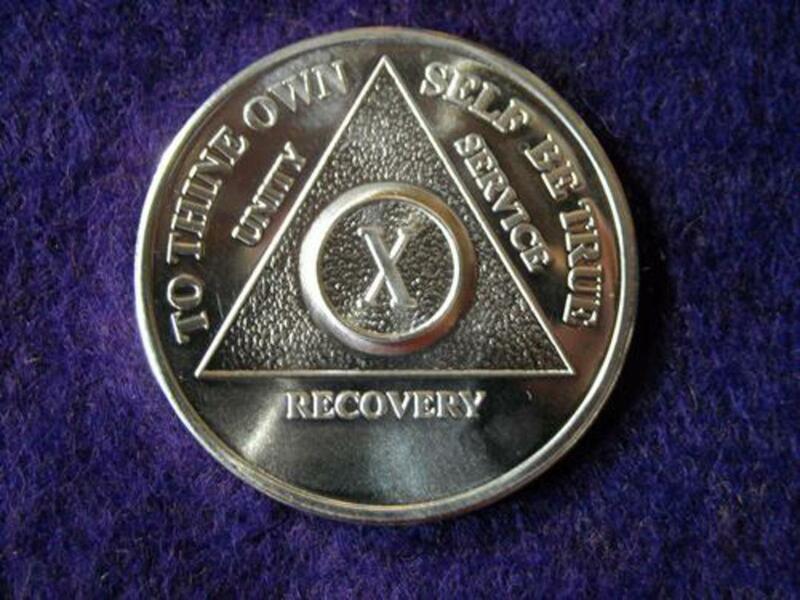 You often see these beautiful silver AA medallions showing up at birthdays where the number of years sober ends in "5" or "0". One of the things I like about the AA Silver Plate Medallion is that it is not quite as pricey as some of the other premium medallions, but it carries with it the same special feeling. AA Silver Plate Medallions are engravable with recipient's first name, 1st initial of their last name, and sobriety date. The maximum number of digis for first name and last name initial is 11 including spaces and punctuation.